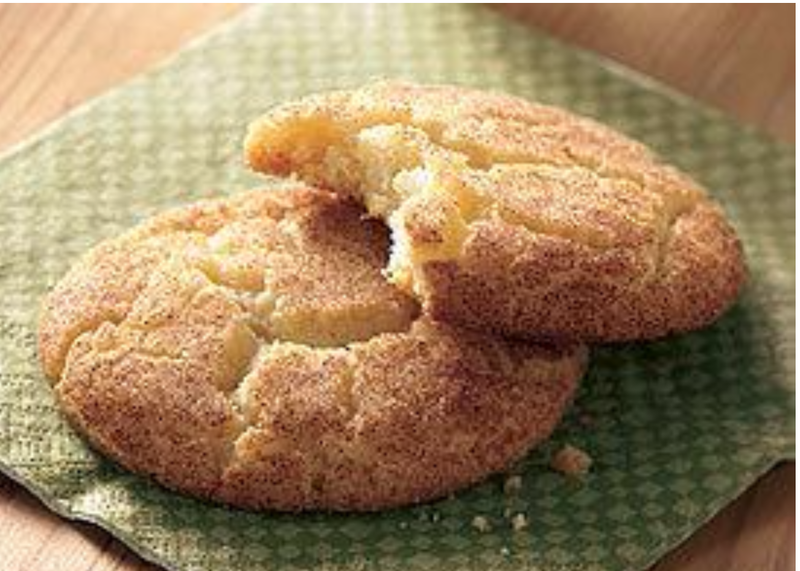 The earliest recipes for Snickerdoodle Cookies were from the late 1880’s. This was a very popular cookie in New England and Pennsylvania. Commonly used as a “tea-time” cookie, they are easy to make, and can store for several days in a sealed container without becoming stale. So what are the defining characteristics of this baked treat? So glad you asked, there is only really one major difference between a Snickerdoodle, and a sugar cookie. Sugar cookie’s do not traditionally incorporate other spices like cinnamon, and with a Snickerdoodle, the cookie is rolled in a generous amount of sugar and cinnamon creating a sweet lightly crispy outer crust, and the cookie it self is soft, and has a cake like texture, and they have the most amazing flavor. So yummy! One serving of Snickerdoodle Cookies, usually two medium sized cookies 2-3 inch diameter, will cost you only about 125 calories, and contain about 9 gm of sugar. Compared to peanut butter cookies which will cost you around 145 calories/serving, or chocolate chip cookies at 167 calories per serving,(values are dependent on the recipe used). My Grandma used to make cookies every week, she would usually make a couple of different kinds but I always loved to see the snickerdoodles. It was such a treat to see her big glass cookie jar full of fresh homemade cookies. So, without further delay, let’s bake some cookies! 1 c. unsalted butter at room temp. Preheat you oven to 400 degrees, and line baking sheets with parchment paper. In a large bowl whisk or sift together Flour salt and baking powder and set aside. In your mixer, blend together butter and sugar until creamy, add eggs one at time until well incorporated and then add vanilla. Mix well, and then add your dry ingredients a little at a time until dough is well mixed. Refrigerate for 1-2 hours or until dough has firmed up and can be easily handled. Flour your hands and roll dough into 1-2 in. balls. Drop these into the sugar and cinnamon mix and coat generously. Place about 2 inches apart on the prepared baking sheets and using the bottom of a glass flatten the cookies to about a half inch thickness. If you don’t flatten the cookies it can affect cooking time. Bake 8-10 minutes in a preheated oven. Remove and allow to cool on a baking rack. Makes 4-5 dozen cookies. Enjoy!